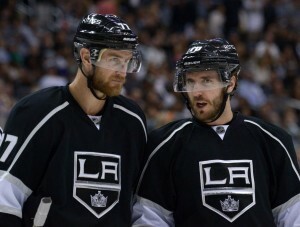 Monday’s news that the Los Angeles Kings placed center Mike Richards on waivers surely came as a shock to many. One of the biggest reasons for this level of surprise is that Los Angeles general manager Dean Lombardi gave Richards a major vote of confidence by not exercising the team’s option to buy out his contract this past off-season. 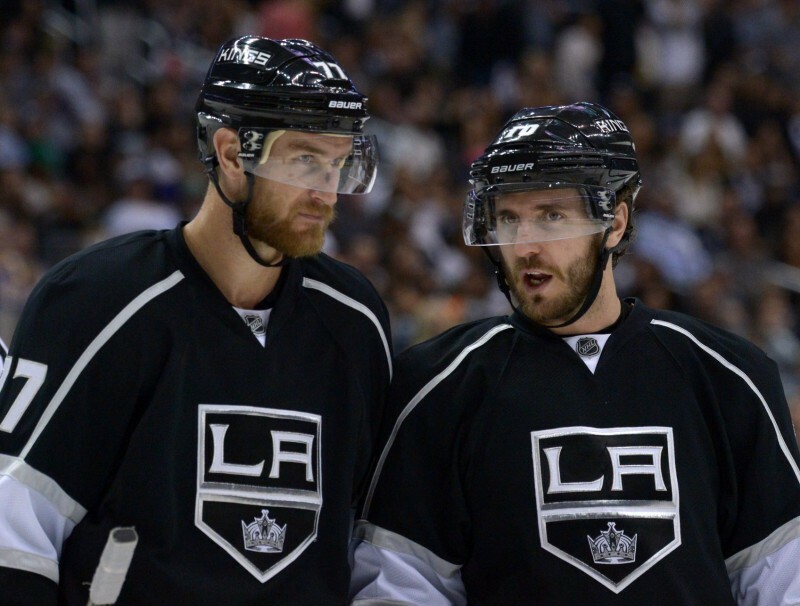 Now the Kings sure are locked in and their situation is unenviable. Richards — a former captain and 80-point player with Philadelphia — has just 5 goals and 15 points in 47 games this season. The worst part, though, is his contract that sees him making an average annual salary of $5.75 million for the next five seasons after this one. That and his declining production — he had just 11 goals and 41 points last year — made a compliance buyout an attractive option for Lombardi and the Kings heading into the last off-season. Lombardi, however, relied on intangible but strong values such as trust and loyalty when considering the buyout option, and decided to retain Richards, knowing that last off-season was his final chance to buy him out. Sadly, that decision has proven to be a big mistake for a GM who has established himself as one of the best in the NHL. In hindsight, it’s easy to see this decision as a mistake. Lombardi should have been thinking more about the future of the team and retaining players such as Anze Kopitar, Justin Williams, Tyler Toffoli and Tanner Pearson. At the time, though, it certainly seemed like a reasonable move. Even yours truly expected the 29-year-old Richards to reward Lombardi for his trust and have a strong bounce-back season. It just hasn’t panned out that way, so I’ll eat crow on that one. Lombardi, when discussing the decision to place Richards on waivers after retaining him in the off-season, again showed his strong belief in values such as loyalty, passion, and trust. “We expect loyalty from our players, and I think it’s a two-way street, and I think under the circumstances, what he had done for us, I thought he deserved a chance to get back to what he knows he was capable of,” said Lombardi. The Kings’ general manager then expanded further on how difficult it is to balance emotions and practicality, especially in the salary cap age. With an explanation and discussion like this, it is indeed hard to truly fault Lombardi in this situation. Richards had helped the Kings to two Stanley Cup championships, and intangible values like trust, loyalty, passion, and camaraderie have undoubtedly been critical factors in the Kings’ success as well. If Richards clears waivers, sent to AHL, $925K of $5.75M cap hit comes off LA’s cap. So Richards would represent $4.825M of dead cap space. That’s still a lot of dead space that could be better allocated toward other players, as mentioned. Now the Kings will have to do some fancy maneuvering to retain all of their core leaders and rising young stars down the road. Having said this, the decision to not buy out Richards might be proving costly now and for the next several years, but Lombardi and the Kings did at least get two Stanley Cups out of his three-plus seasons with the team. That’s a level of success that cannot be taken away. Now, though, the Kings will have to move forward more prudently, and Richards will have to try to revitalize his career — wherever that might be.